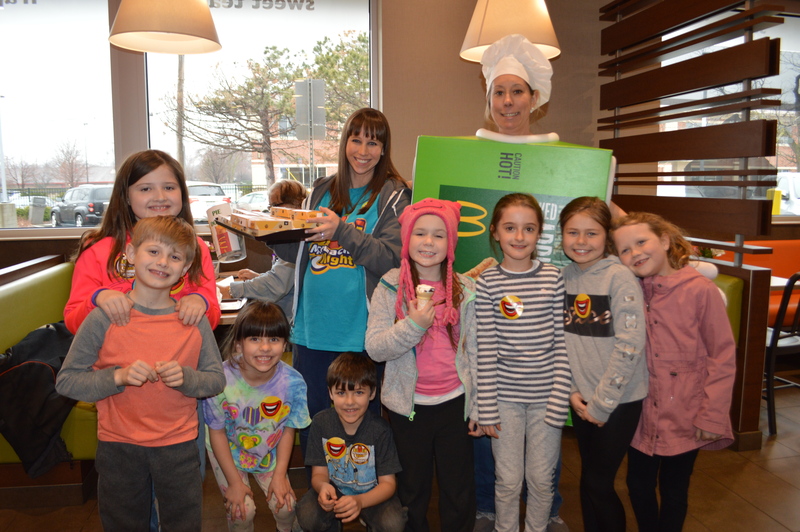 Mount Prospect | Lions Park Elementary School students gave teachers an A-plus on their fundraising efforts to support local education and their school. 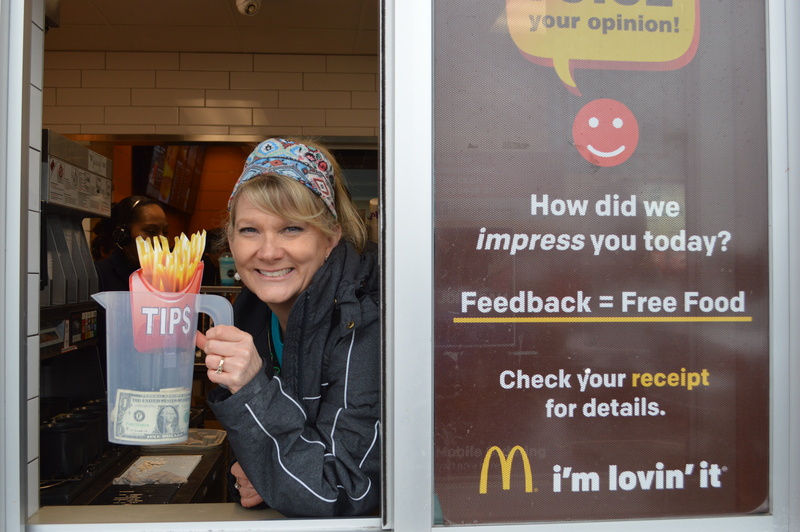 Over fifteen teachers from D57, volunteered behind the counter on Thursday, April 4, at the Mount Prospect McDonald’s located on Rand Rd., where they served students and their families in a fundraiser for Lions Park Elementary School. Mrs. Katie Kelly, Principal, and Mrs. Bielenda, Assistant Principal, both of Lions Park Elementary School were at the event the entire night talking with the families, taking pictures with students and working hard. 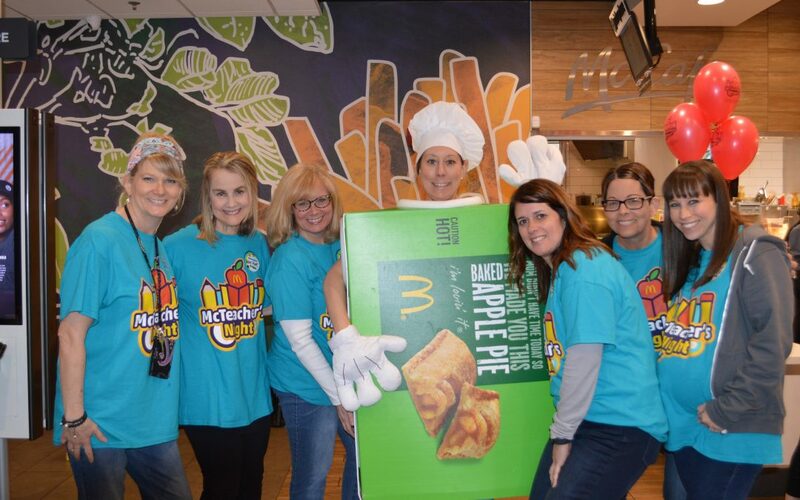 Teacher Cotner and Principal Kelly wore the pie box costume while teachers Lorenz and Assistant Principal Bielenda sold the pies. 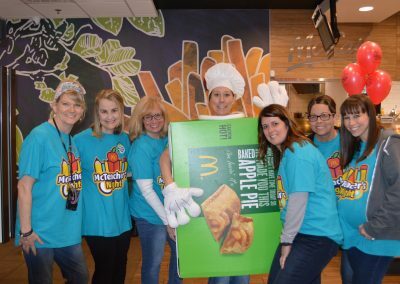 The proceeds from the sale of 240 pies went directly to benefit the PTO, students, and school. 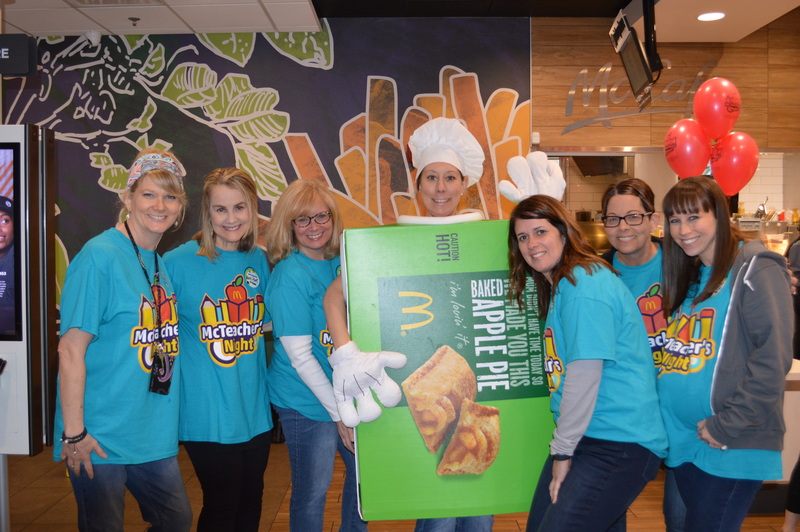 This was the second McTeacher’s Night for Lions Park Elementary School. 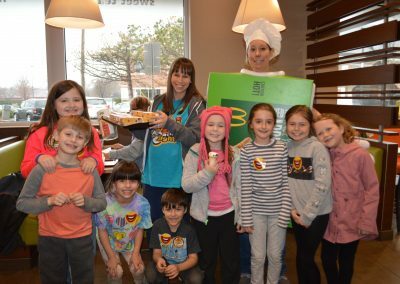 David Bear, Owner-Operator of the Mount Prospect McDonald’s, and the Bear family were delighted to participate in the worthy cause for education and the community. Bear donated a case of apple pies to the school for sale at the event. 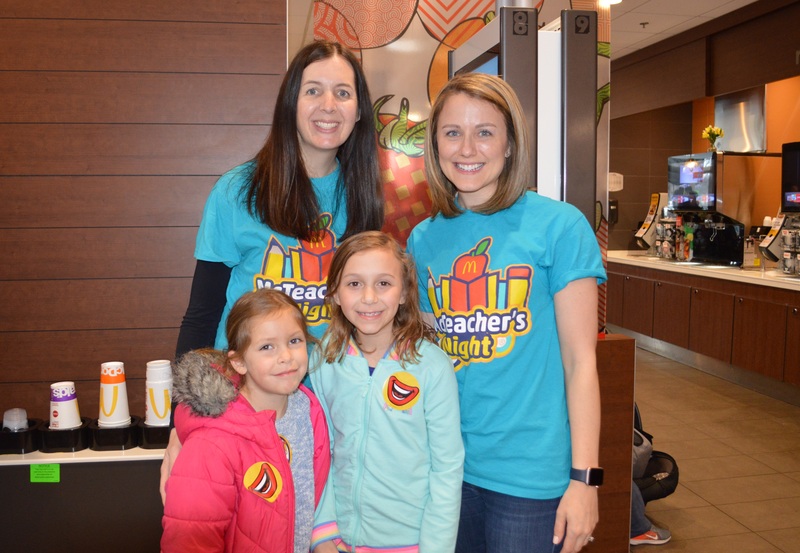 Inspired by the success of McTeacher’s Night, the Bear family has set their sights on partnering with other schools in the Mount Prospect area. 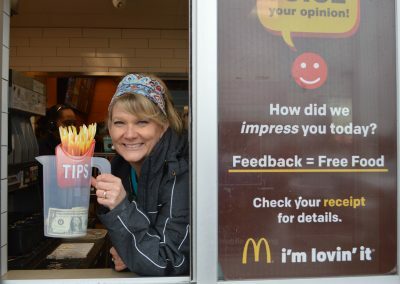 “Principal Kelly, Assistant Principal Bielenda, and everyone who rolled up their sleeves in support of this event” is the fabric that strengthens our community,” Bear said. 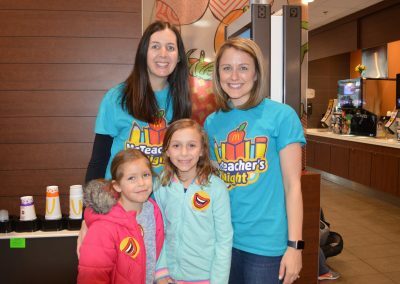 The Lions Park Elementary School McTeacher’s Night was courtesy of the Bear Family Restaurants and McDonald’s Owner-Operator, David. Like us on Facebookand visit our Bear Website.